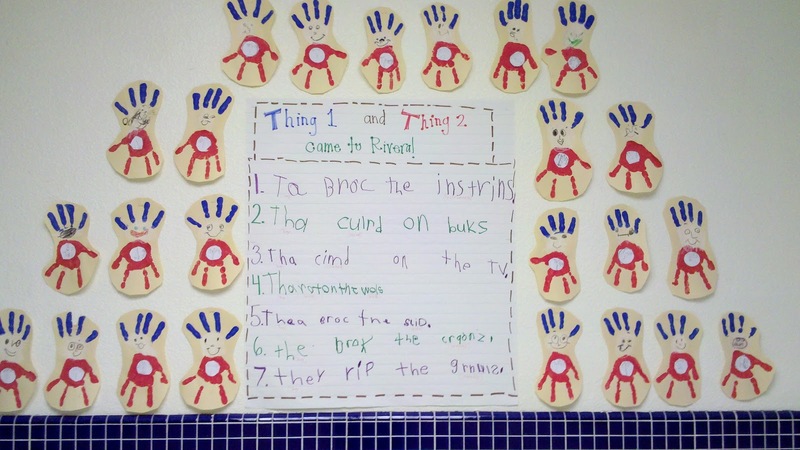 Students brainstormed what would happen if Thing 1 and Thing 2 came to Rivera. Below is the list that we came up with. 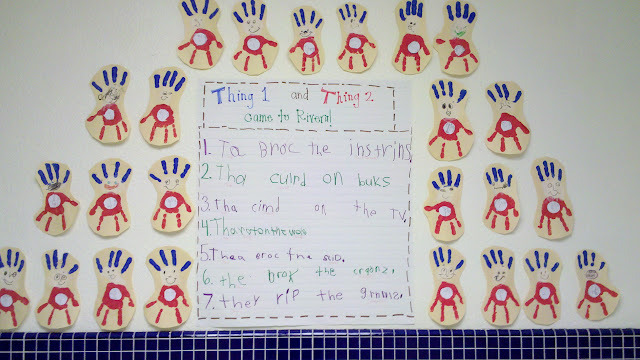 Each students wrote their idea on the chart paper. They climbed on the T.V. They wrote on the walls.